Imagine this, only 200 years ago the entire Vancouver region was a swath of towering old-growth forest. Right where your garage sits, there was once a tree trunk twice the width of your car. Where those 30-storey condos rise… was once airspace dominated by the soaring limbs of ancient tall trees. This incredible forest was the traditional territory of numerous Coast Salish First Nations who lived here for millennia, yet rarely ever felled the great trees. In the 1850’s, settlers began to arrive in search of gold, then lumber, and as the immigrant population grew by the 1880s, large-scale forest clearing began. The ancient forests were cut, their stumps dynamited, split and torn from the ground. Fire was used to burn deep into the organic soils. The ancient forests were practically erased, and mostly forgotten by the megacity, which has sprung up in its place. This story is rarely ever told even though it is our story. I believe that rekindling this story has potential to reground our relationship with trees and the forests of our region, provide us with a deeper sense of place, and provide us with a historical analog to judge where we should steer our relationship with the environment into the future. For the trained eyes of a forest ecologist like myself, the story of our forests is vividly recorded in the ecosystems around us. To experience is to know. So in this blog I provide directions for you to discover the story for yourself through exploring remnant forest patches and seeking out still intact legacy stumps. Let me emphasize that while the destruction of the Vancouver Forest, indeed, lacked foresight and can never be undone, there is still reason for hope. 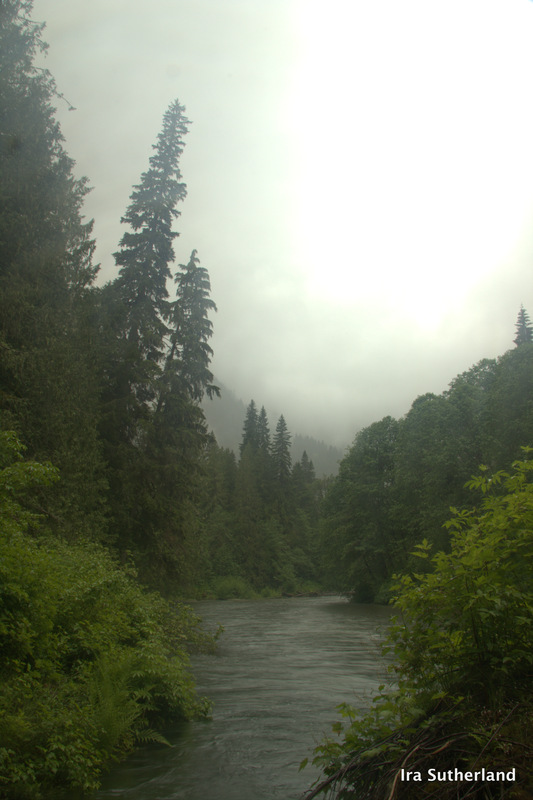 Many pockets of old-growth forest were spared. 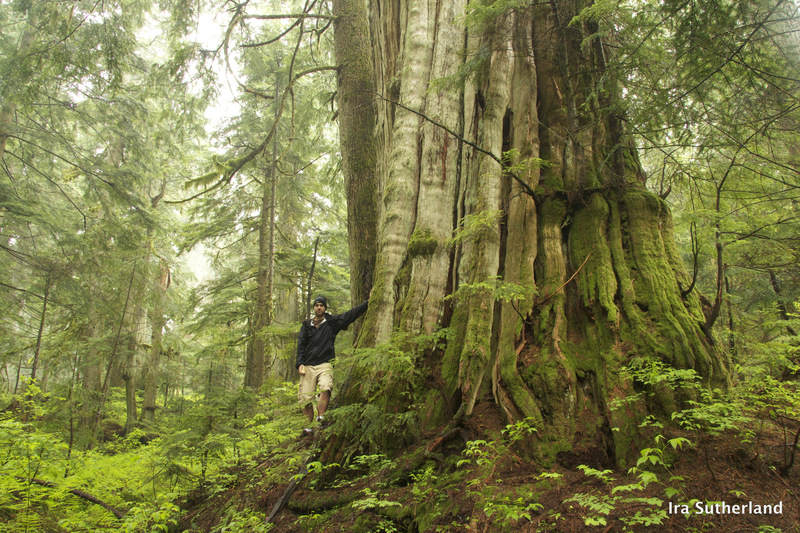 Find ancient trees around UBC, Stanley Park, Capilano, Maple Ridge, Lynn Valley, and up in the higher elevations around Vancouver, where trees still stand over 90m tall. Furthermore, as an ecologist who researches forest recovery, I know that Mother Nature is resilient. Rising from the ashes of reckless settlement, we now have towering recovering forests in many parts of our region. The North Shore Mountains are once again seen as a green carpet, where vast clear-cuts once stood. Its in these recovering forests, at places like Stanley park, Pacific Spirit Park and Central Park Burnaby, where we find the potential for immense 300-foot forests of the future. My latest discovery is a shining example. 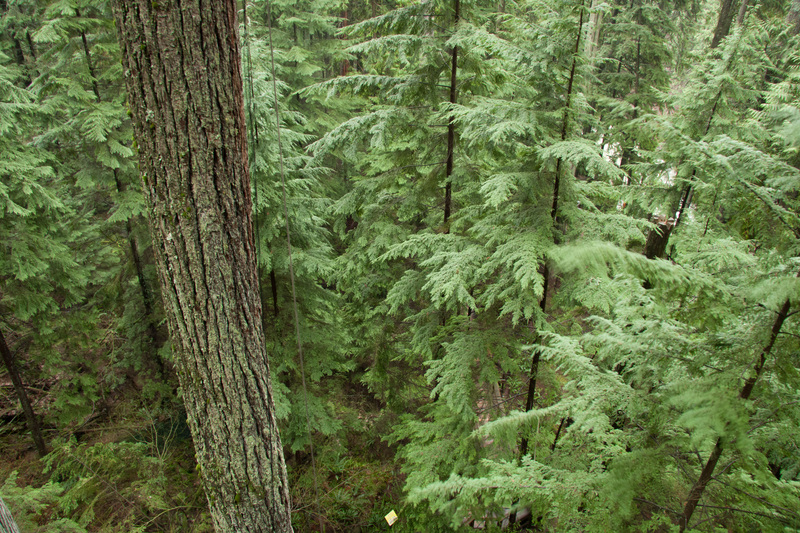 We discovered that the tallest tree within the municipal limits of City of Vancouver is suddenly now a pencil-skinny Douglas-fir with an estimated height of 63.6m (210 feet). This tree has surpassed other old-growth in Stanley park. It grows in a dense stand of second-growth to the south of Beaver Lake, pictured below. Incredibly, this stand is believed to have originated following the Great Vancouver Fire in 1886. I’ve thus named this stand the ‘Second Chance Grove’ as it provides a testament to the outstanding character of our local forests and indicates, most importantly, that we may get a second chance with nature. These forests are by no means fully recovered. I’ve specifically researched the question of how long it takes an old-growth forest to recover. 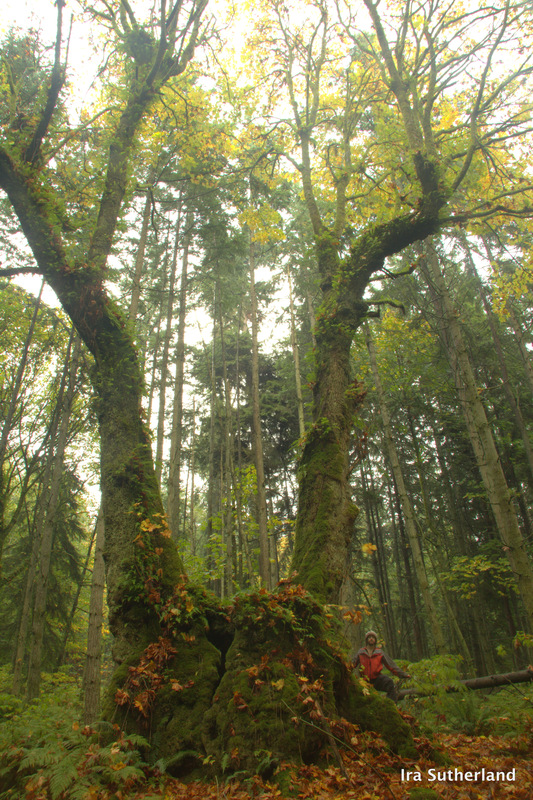 An analysis of long-term forest recovery I did in in my MSc thesis revealed that many important functions of old-growth forests take over 200 years to recover. 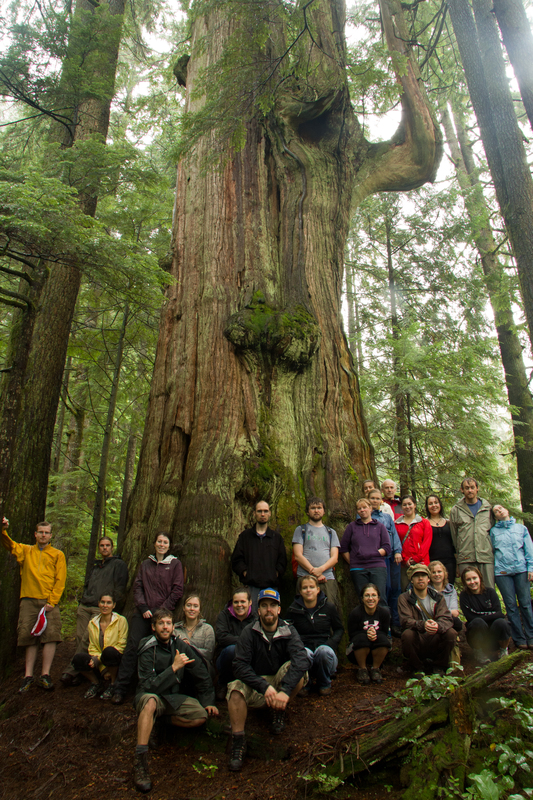 Old-growth forests have a remarkable capacity to store carbon, they provide habitat for endangered species, and support traditional cedar use of coastal First Nations. While these second-growth forests have tall trees, they lack many structural features present in old-growth. Nonetheless, this forest is symbolic of what is now a widespread forest type growing around Vancouver: the super tall 100-130 year old forest, which often reach over 60m in height. I’ve long since known that Stanley Park has the tallest, oldest, and overall largest trees within the municipal limits of the city of Vancouver. However, the previous tallest stand, which contained a tree estimated to have had 68m in height has been battered by the wind and the tallest live tree was snapped. While this grove contains trees far larger in girth and many hundreds of years older, it no longer contains the tallest living trees in Vancouver. 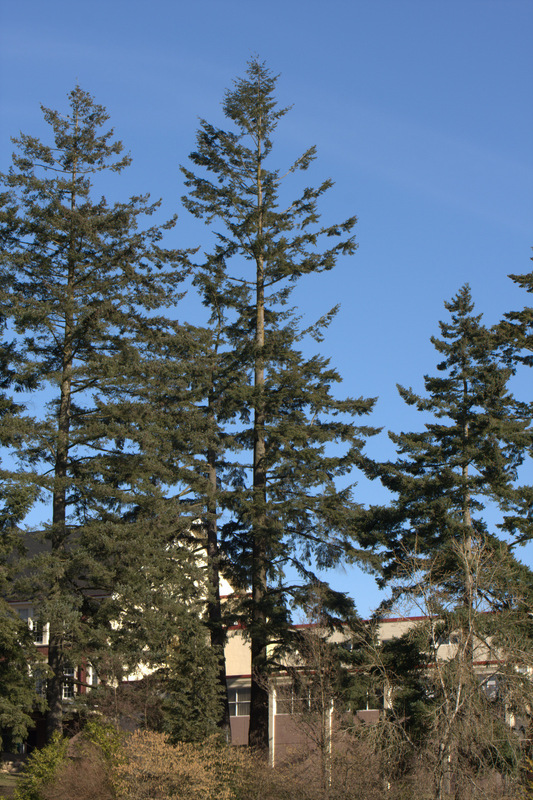 There are other scattered giants in the west side of Stanley Park, but the tallest live trees have been hacked back by the Park Board, largely under past policies intended to actually help the trees. I also note to be clear that there are taller old-growth trees found outside the City of Vancouver municipal limits: for example, in UBC, Burnaby, North Vancouver, and Coquitlam. Using Lidar as a method to find the tallest trees. 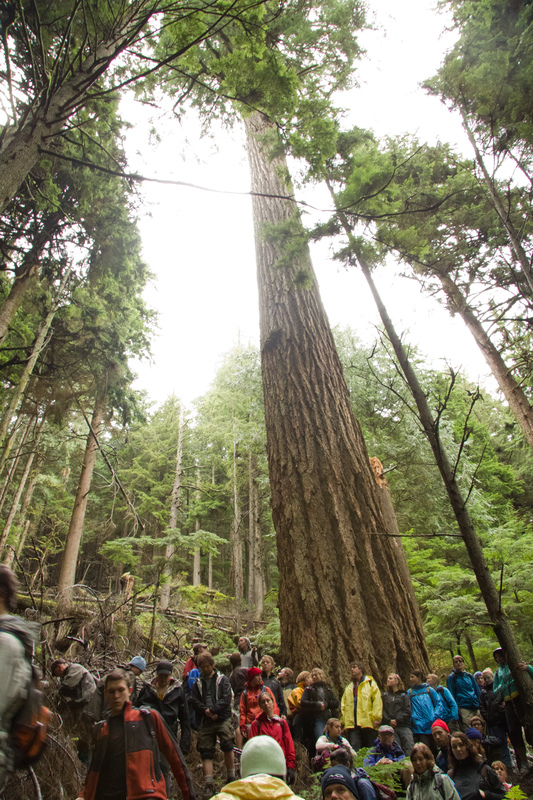 Finding a new tallest tree in a forest as vast as Stanley park is extremely difficult. Lately I’ve been employing the latest technology and help from colleagues to systematically search the tallest trees in our region. Here is a video that explains my method of using lidar data, a sophisticated laser scanning of the forest from airplane, to find the tallest trees. With help from Olli Pihlapuro of the University of Eastern Finland we processed free lidar data from Open Data Vancouver. The processed data can be downloaded here for viewing on a geographic information system (www.mikrokuvio.fi/Stanley_pitfree_20cm.zip). We marked the tallest canopy points in Stanley Park and then I went out and ground-truthed the tallest heights with Flora Hugon. The heights that I present are averages taken from multiple measurements, which generally includes a lidar estimate, and at least one ground estimate done using a laser rangefinder. Vancouver’s story of reckless abandon during settlement continues today but on a far greater scale. It is a surprise to many that BC still contains much old-growth forest —far more old-growth of the forest type coastal temperate forest than anywhere else on Earth —but it is still being rapidly logged off today. Logging is encroaching deeper and deeper into the last pristine ancient forests of BC. As these types of forests become rarer and rarer, the tradeoffs with the environment and other values with each additional forest patch logged increases marginally. What was once may have considered acceptable in the past is rapidly becoming blatant disregard for how removing old-growth forests today will be reflected upon in the future.